Rohit Sharma held his right thigh and winced in pain. The severity of the injury is yet to be determined. Rohit Sharma walked off from Mumbai Indian's practice session on the eve of their Indian Premier League encounter against Kings XI Punjab after suffering an injury on his right thigh and this could deal a body blow to India's chances at the ICC World Cup 2019. The Mumbai Indians skipper was doing his training drills on April 9 at the Wankhede Stadium and it was during his running session that Rohit pulled up clutching his right thigh. Rohit was in agonising pain as he could not keep standing and subsequently collapsed himself to the floor. He could be heard wincing in pain as he held onto his head in agony. The Mumbai Indians physiotherapist Nitin Patel rushed to attend to Rohit who lay on the ground in pain. He checked on the Indian opener, following which Rohit gingerly held himself up on his feet and limped off the ground. He did not take any assistance in climbing up the staircase of the Wankhede Stadium which leads to the dressing room. 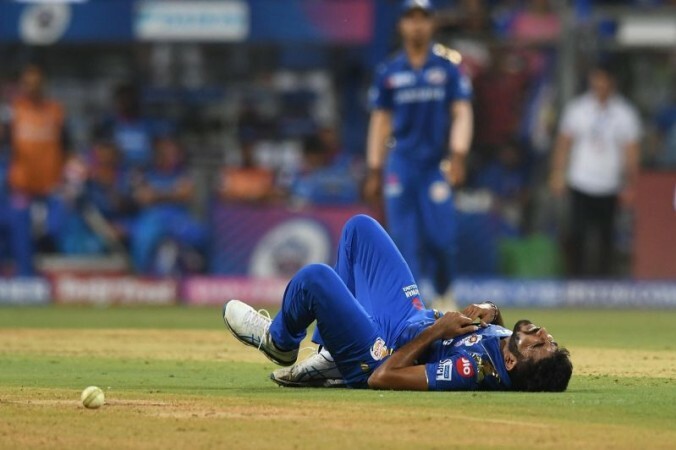 Mumbai Indians has not released any statement yet regarding the extent or severity of the injury but it looks either a muscle injury or a hamstring pull. In case, Rohit has injured his hamstring, it is a cause of concern for the Indian team as these kind of injuries take time to completely heal. The worrying factor is that Rohit went down by himself without any sort of external contact which means that something is wrong within his body. Rohit is an integral part of the Indian set up and is the vice-captain of the Indian limited overs side which is why everyone will be sweating over the severity of this injury. As is the protocol, the MI physiotherapist will now consult with the BCCI physiotherapist Patrick Farhart before taking any calls. This is not the first time an Indian player has been injured this IPL season as Jasprit Bumrah hurt his left shoulder in MI's opening match against Delhi Capitals. Thankfully on that occasion, Bumrah's injury was minor and he returned to action in the very next game. Sports scientists across the world believe that the intensity of a T20 game takes a heavier toll on players than any other format in cricket. The IPL is thus a very demanding tournament when one takes all the travelling into consideration too. Workload management had been a point of heavy discussion ahead of the IPL given its proximity to the World Cup and now this debate will gain further steam. The World Cup which will be played in England and Wales begins on May 30. India will play its first match on June 5 against South Africa at the Rose Bowl in Southampton.